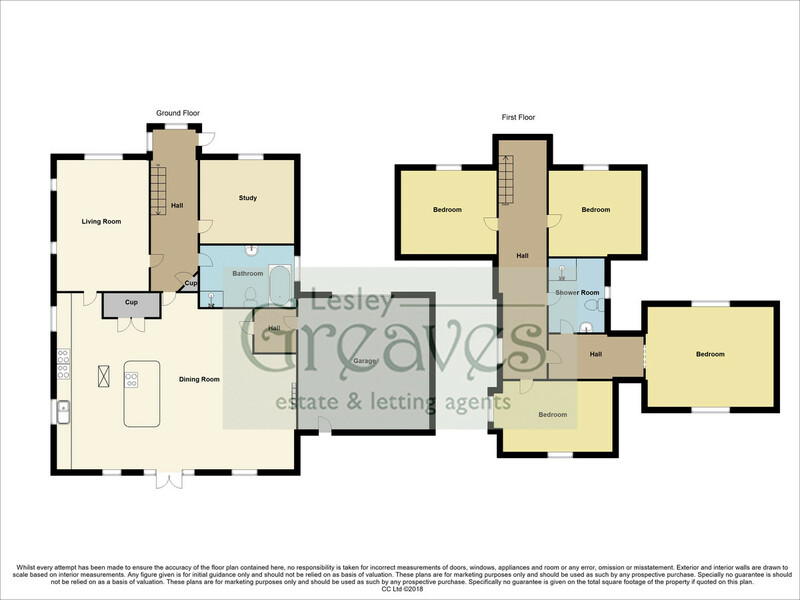 Sympathetically extended and modernised detached family home with planning permission to further extend if desired. 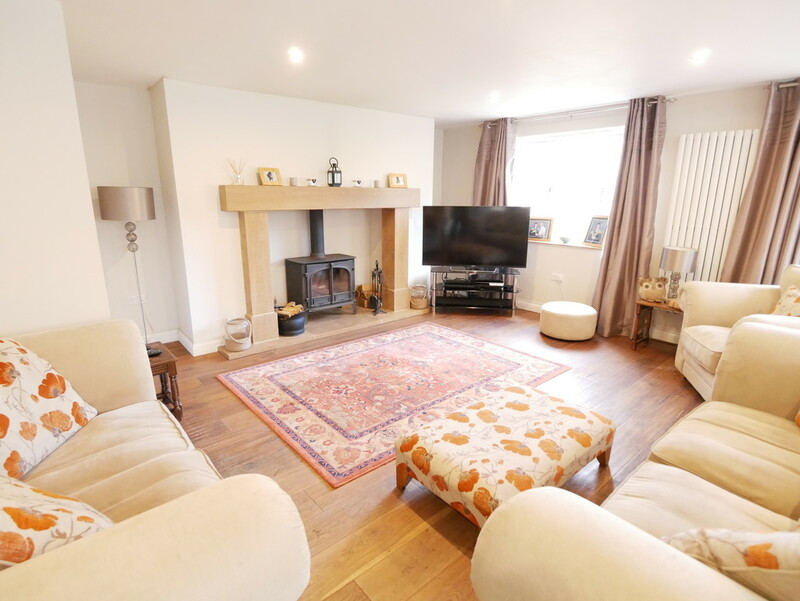 In brief the property comprises an entrance hallway, study, living room, bathroom, impressive open plan kitchen/family room and utility room to the ground floor. To the first floor are four bedrooms with the master bedroom suite comprising a dressing room, bedroom and Jack N Jill shower room. There is parking, a double garage and lawn gardens to the rear and side with decked patio areas. Burton Joyce has long been a sought after, desirable, village with Lambley Lane one of its most prestigious addresses in which to reside. The village has many amenities for local residents to enjoy from country and riverside walks to shops, restaurants, recreational facilities and regular public transport. UTILITY ROOM 5′ 10″ into recess x 5′ 6″ (1.80m x 1.69m) Space and plumbing for a washing machine, shelving, meters, engineered oak wood flooring and a door to the garage. LIVING ROOM 16′ 11″ x 12′ 1″ (5.16m x 3.70m) uPVC double glazed windows to the front and side, coving to the ceiling, radiators and brick open fireplace. STUDY 11′ 11″ x 10′ 11″ (3.64m x 3.33m) uPVC double glazed window to the front and a radiator. BATHROOM Modern white suite comprising a low flush WC, wash hand basin within vanity unit, walk in large shower with concealed fittings and freestanding bath with shower attachment. Chrome heated towel rail, vertical radiator, under floor heating, inset spot lights, extractor, tiled splash backs and tiled floor. uPVC double glazed opaque window to the side. GALLERIED LANDING uPVC double glazed window to the side, radiator, doors to all bedrooms and to the Jack N Jill shower room. BEDROOM 16′ 6″ x 13′ 3″ (5.05m x 4.05m measured at the reduced head height of 0.86m) uPVC double glazed windows to the front and rear and a radiator. JACK N JILL SHOWER ROOM Modern refitted suite comprising a double walk in shower with concealed fittings, low level WC and wash hand basin within vanity unit. Inset spot lights, extractor, laminate flooring and a double glazed Velux window to the side. BEDROOM TWO 14′ 5″ x 9′ 5″ (4.41m measured at the reduced head height of 1.19m x 2.89m) uPVC double glazed windows to the rear and side and a radiator. BEDROOM THREE 12′ 3″ x 11′ 3″ (3.75m x 3.45m measured at the reduced head height of 0.85m ) uPVC double glazed window to the front and a radiator. BEDROOM FOUR 12′ 1″ x 11′ 2″ (3.70m x 3.42m measured at the reduced head height of 0.85m uPVC double glazed window to the front and a radiator. OUTSIDE There is parking at the front and access to the double garage. The enclosed rear garden is mostly laid to lawn with decked patio areas, a pergola, power and shed. DOUBLE GARAGE 17′ 3″ x 16′ 9″ (5.28m x 5.13m) Electric roller door, uPVC double glazed window and door to the rear, power, lighting, wall mounted boiler and hot water cylinder with pressurised system. AGENTS NOTES Further conditional planning approval has been granted for which plans are available to view form Gedling Borough Council ref no. 2014/0349 & 2014/0631. Please fill out our form below to request a valuation on your property.